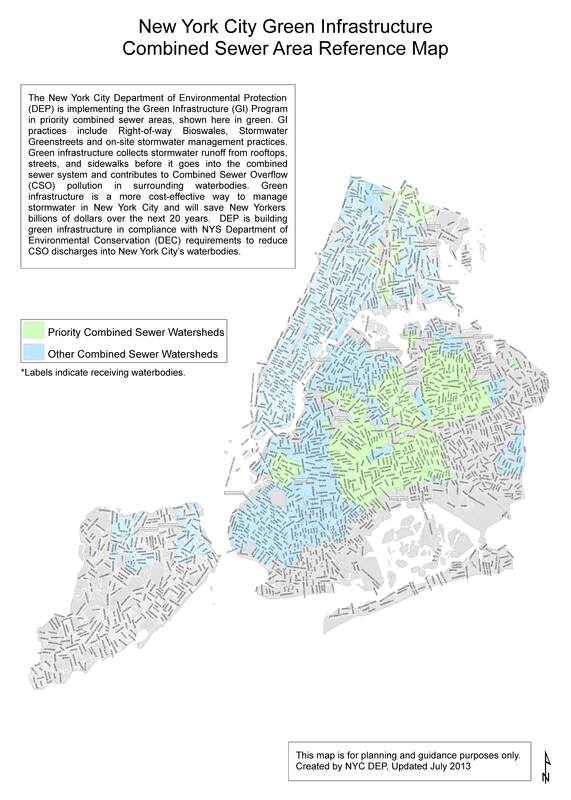 For many residents on the Gowanus low-line, heavy rains mean no water. 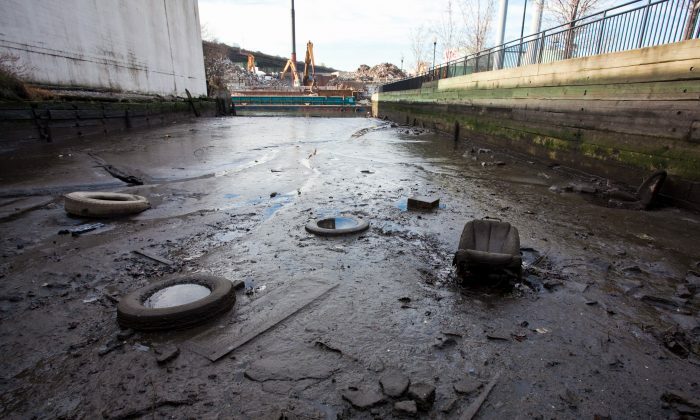 Outside, flooding from the polluted canal plagues the streets and many are familiar with the stench and muck left by rising waters of the Gowanus Canal. But indoors, backed up pipes mirror the situation. The capacity of the city’s combined sewer system is tested every time it rains, and there are frequent overflows with heavy rain or snow. Once wastewater treatment plants can no longer handle the amount of water coming in, untreated water and excess stormwater goes back into the city’s waterways. It causes flooding in the streets, and it causes whatever was going down residents’ pipes to come right back up various drains. In 2012, Brown had to deal with the smell, water damage, and clean up of these backups all throughout the holiday season at 572 Warren Street. Other residents on her street experienced the same. Brown was able to resolve her own problem through a court order allowing a move and has been trying to help others do the same. A few days ago, Brown said on Monday, a court order allowed the last resident experiencing problems this severe to move into another unit. And relief is on the way, she added. “Slowly but surely, it’s going to get fixed,” Brown said, but it won’t happen for a few years to come. A spokesperson from NYCHA said backups are frequent in those buildings, which are just a block from the Gowanus Canal and at low elevation, but no units have recently been vacated at 572 Warren Street. Wastewater treatment infrastructure is expensive. In the last decade the city has invested $10 billion in upgrading wastewater treatment plant capacity, but the benefits per dollar are diminishing. In 2010, the city’s Department of Environmental Protection (DEP) launched a plan to use alternative methods and capture rainwater before it makes it to the city’s sewer system. The DEP has a goal of creating over 6,000 bioswales [drainage systems] in the next five years as part of a $2.4 billion green infrastructure program to address stormwater treatment. Some of the first bioswales were put in Gowanus to pilot the program, and a total of about 500 of these are slated for the neighborhood. These bioswales look no different from the planters found on sidewalks all over the city, but the rainwater runs into the sandy soil to underground basins holding up to 2,500 gallons. The water is then stored for the plants’ use and never makes it to the sewer system, taking pressure off the energy-consuming wastewater treatment plants. The DEP looks for public land with underlying soil to build right-of-way bioswales to meet with state requirements, so neighborhoods can’t currently apply for them. But for private properties, the DEP has a grant program for owners of properties in combined sewer areas, regardless of whether they are designated priority areas or not. The minimum requirement is to manage one inch of stormwater runoff. The DEP reviews applications twice a year, once in the spring and fall. The fall due date for applications this year is October 21. Individual condominium owners cannot apply, but Home Owner Associations and co-ops are eligible in most cases. Certain projects, like green roofs, will require feasibility studies. Applications should also include a maintenance plan. The application and other resources for applying for green infrastructure grants can be found on DEP’s website.